Mix together the flour, cayenne pepper, smoked paprika, black pepper, and salt. In a 3 ½ quart saucepan melt the ½ stick of butter over medium heat. Add in the flour mixture and stir until it is smooth. Add the half and half in small amounts, stirring well after each addition to keep the mixture smooth until all 2 cups is added. Slowly add half and half, stirring well. Keep stirring while bringing the mixture to a boil over medium heat. The mixture will thicken. Keep stirring until mixture boils. Reduce the heat to low and continue to stir for about another 5 minutes. Take the saucepan off the heat and add the 2 cups of shredded cheddar cheese. Stir until the cheese is melted. Stir shredded cheese into the mixture. Add your cooked, drained elbow macaroni to the cheese sauce, stir well, and taste for seasoning. Add drained macaroni to the cheese sauce. Pour into your prepared 9” x 9” glass pan. 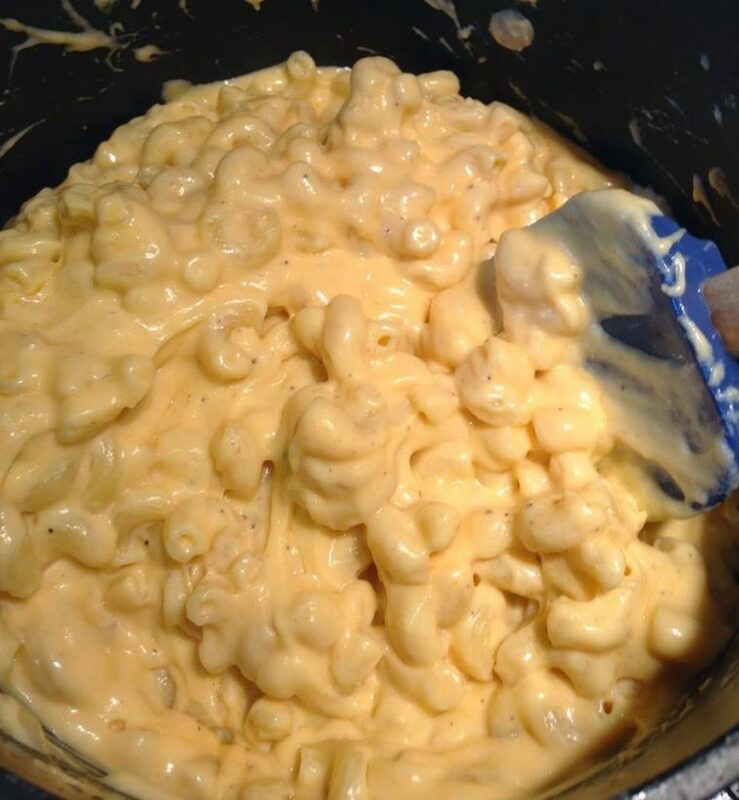 Macaroni and cheese sauce in 9″ x 9″ glass pan. Stir the panko bread crumbs into the melted butter. Sprinkle the mixture on top of your macaroni in the glass pan. Bake in a 400 degree oven for approximately 20 minutes until it is bubbly and the top begins to brown.